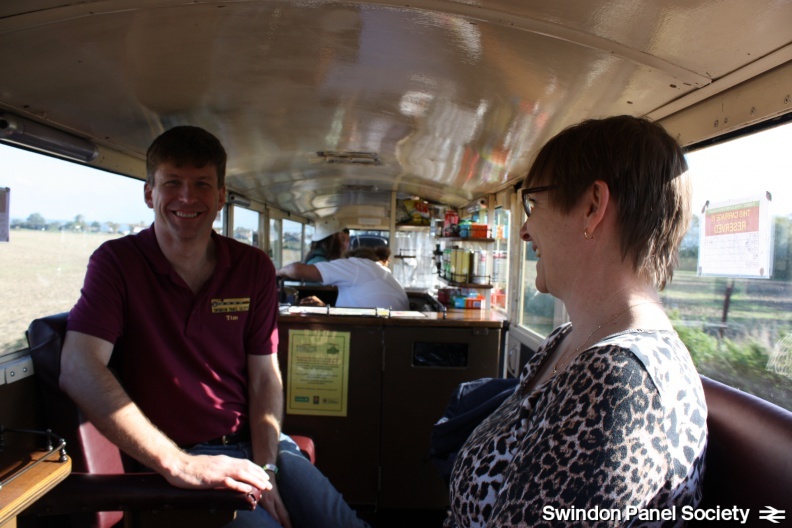 Our second annual outing took place in September—to the very splendid RHDR in Kent. We were treated to the celebrations of the 90th anniversary of the first two locomotives — Green Goddess and Northern Chief —which were delivered to New Romney before the railway was even built in 1925. We enjoyed private use of the bar car all day. Our host, Sian, was lovely and made us all feel very at-home, including giving us all the news, history and gossip about the line! The bar had has two seating areas either side of a central bar that has a wide range of drinks and snacks available. We made two round trips on the line, stopping off at Dungeness at lunch time for a locally-caught fish and chip dinner. We were one of the last customers of the RHDR’s restaurant at Dungeness for the time being as it has now been stripped out and is being enlarged and rebuilt. It is excellent that a restaurant out in the middle of nowhere on a shingle peninsular is commercially sound enough to warrant such a significant investment—a testament to the popularity of the RHDR! The OO gauge layout in the Toy & Model museum is excellent. It is extensive and fully automated, with trains of various geographical origins pulling some extraordinary trains. Also featured of course is the famous OO gauge ‘Romney Rat’ – a toy rat hollowed out and with an electric engine inside and runs around the layout like a train! The museum also has a good collection of other exhibits relating to the RHDR and other railways. 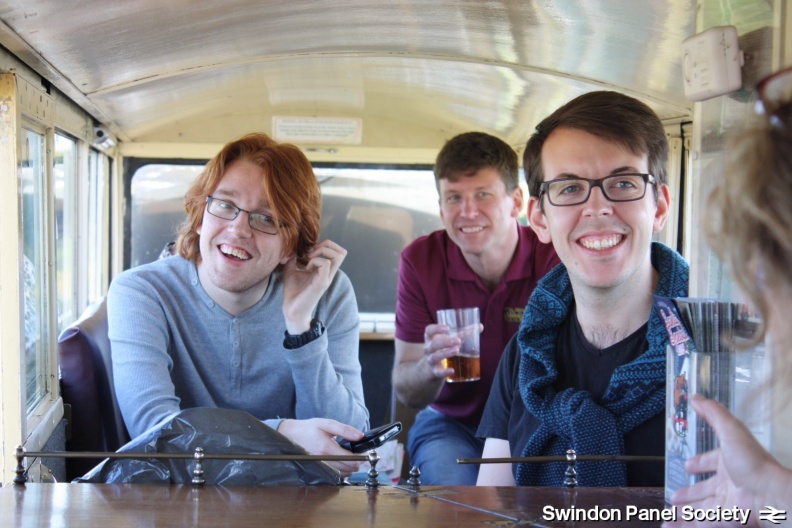 In the afternoon we travelled back to Hythe again in our bar car, to position ourselves for one of the event’s star trains. A non-stop to Dungeness (13 miles), where the train combined with another train, for a non-stop run back to Hythe calling at New Romney only, with FOUR engines on the front! On arrival at Hythe, and after the spectacle of the engines turning on the large turntable there, the return trip to New Romney was spectacular in a way that very few railways other than the RHDR can manage—a parallel run along the double train section, with the train on the ’up’ line and three locomotives on the ’down’ line running along side. 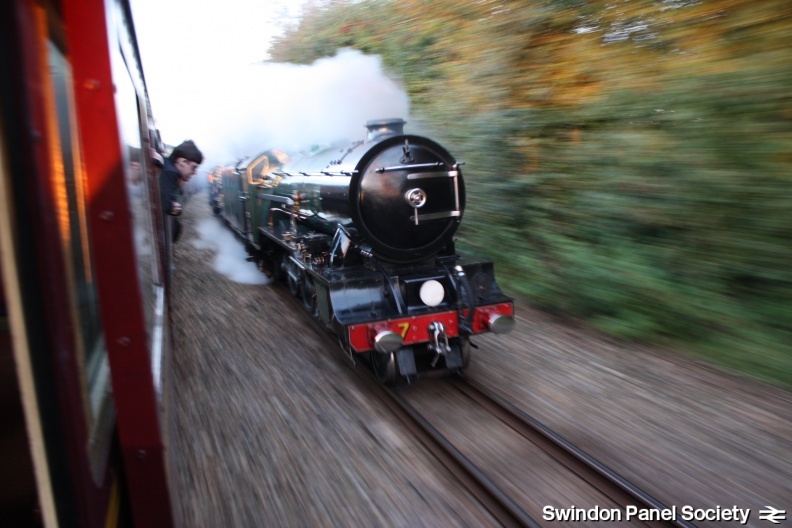 This is a really special treat for any steam railway fan—where else can you have a decent sustained view of a driver working his engine or a Walshearts valve gear whirling around at speed?